Who loves Peeps? Everyone right? 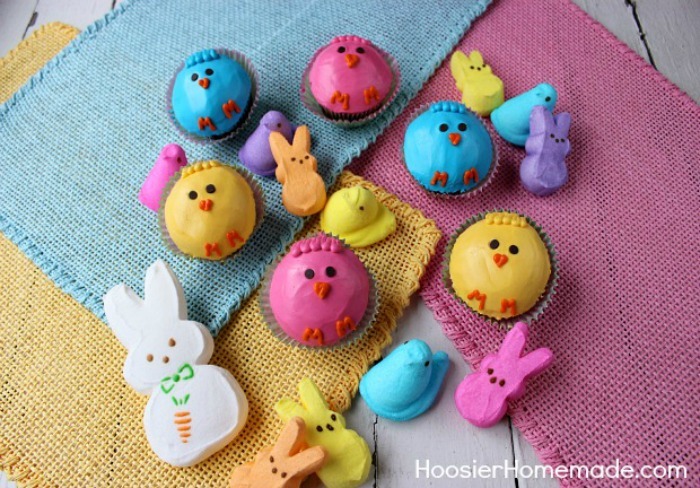 These adorable Peeps Cupcakes are brightly colored just like the Peeps we all love, and are super easy to make. So tell me…which Peep is your favorite? Have you seen those huge white Bunny Peeps? So cute! 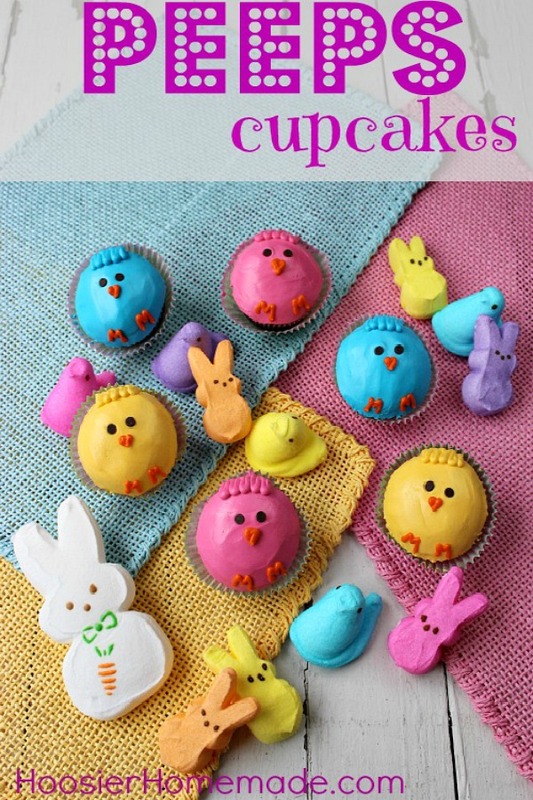 These Peeps Cupcakes are the perfect Easter Cupcakes! They are as fun to make as they are to eat! 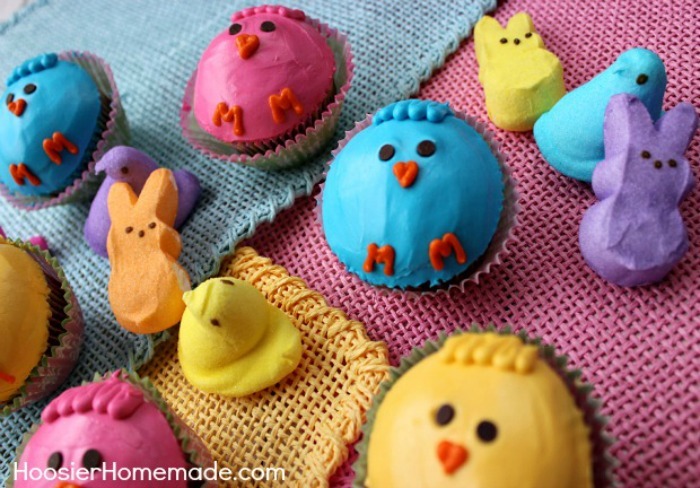 You guessed it…the Peeps Cupcakes are super easy! 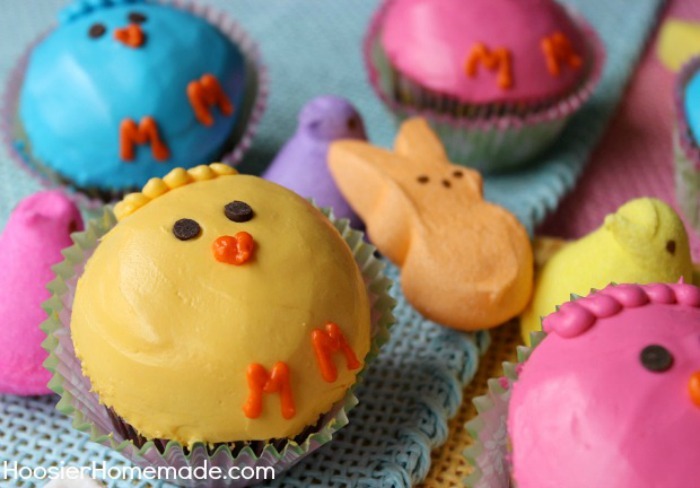 With just 2 ingredients…frosting and mini chocolate chips…these Peeps Cupcakes come to life! Be sure to check out the Cupcake Heaven page, there are over 200 cupcake recipes and decorating ideas! 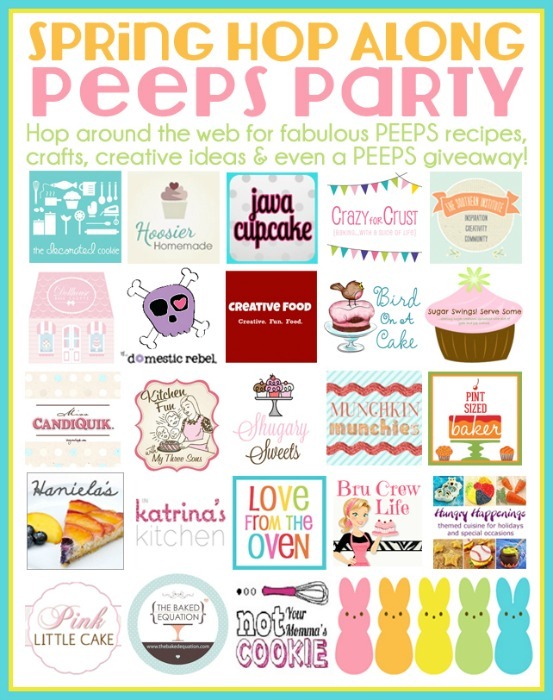 Now…let’s get this Spring Hop Along Peeps Party started! Special thanks to Michelle from Sugar Swings Serve Some and Christi from Love from the Oven for organizing the Peeps Party! 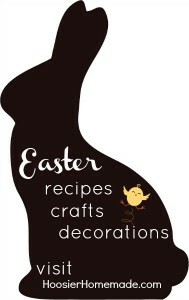 Ready for more fabulous PEEPS recipes and ideas??? Visit the following blogs, each is sharing an amazing PEEPS post for you today, so hop on over and check them all out! Yummy peep s’mores are the best!! Hi Sarah, I found the giant bunny Peeps at Walmart. Oh my! I’ve seen a lot of cute cupcakes for Easter, but these take the cake! LOL. I just came across your blog. I love all things Hoosier! Thanks Meghan! I’m thrilled you like the Peeps Cupcakes! Very original and very cute idea for this fun collaboration! You are sooooo creative!! I want to hug you!! these cupcakes are so cute!! 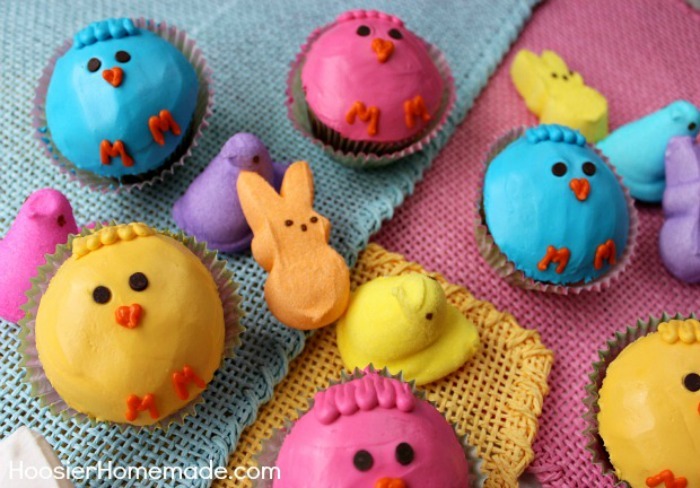 I love to make peep smores with the kids or use them for decorateing for easter. These are TOO adorable. I love the faces. That’s always my favorite part! Love these little cupcakes! So cute!